Discovery Notes Phage isolated, purified, and harvested by Christine Kline and Sarah Mam. Notes about Terrain, Habitat, and/or Structures Around Soil: Rocky, wet soil found along Hudson River (approx. 4 ft from shore during low tide). Soil was collected during low tide in an area that is normally submerged at high tide. 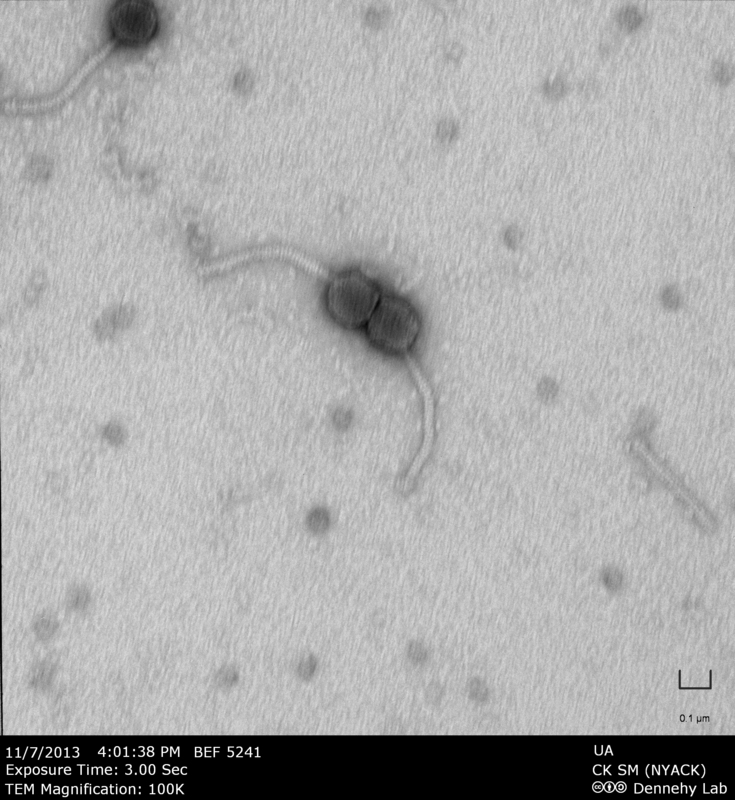 Naming Notes Christine E. Kline and Sarah E. Mam named this phage "TheHudson" because it was derived from soil in the Hudson River.